Life is funny sometimes, you might be taking a step out of your comfort zone only to find yourself more comfortable and confident than you could have imaged. 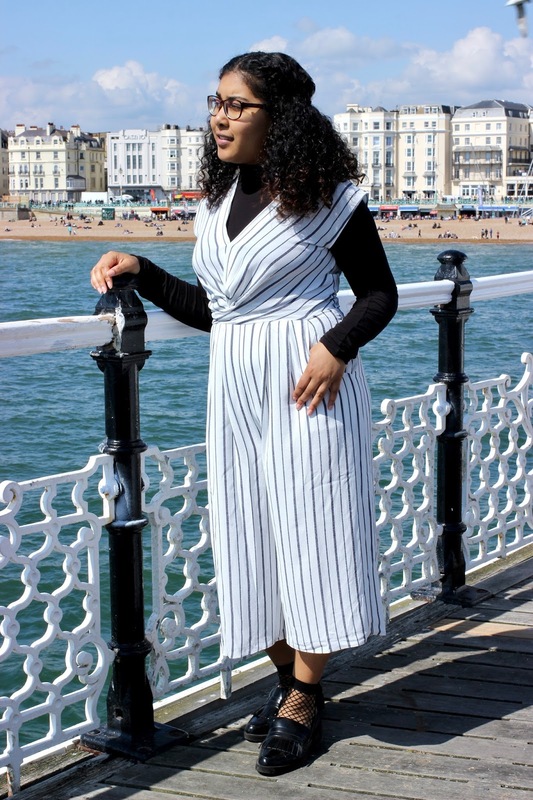 This is what happened to me when I purchased this Miss Selfridge jumpsuit (sold out but this is a similar style) but also in life. When I first laid eyes on this one-piece I instantly fell in love, but convinced myself that I would not spend a lot of money on something I would hardly every wear. I had this full on internal battle, when I tried to make a compromise by trying the jumpsuit on. From experience I know that one-pieces tend to look a bit weird on me, or they are an absolute pain in the behind to put on/take off. So, by trying the jumpsuit on I thought my love would be replaced by acceptance that this piece was just not worth the money/effort. Oh, was I wrong about that! 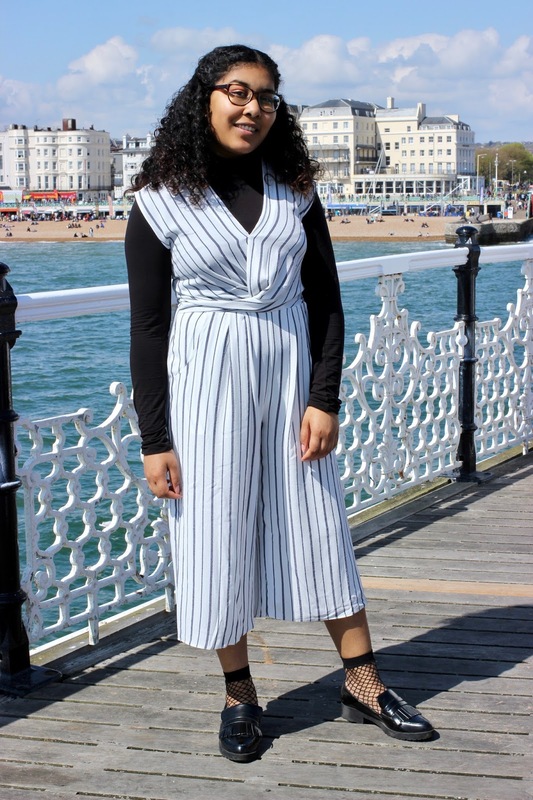 Slowly, and carefully I tried on the jumpsuit and the decision was made in a split second. Now, don’t get me wrong, I don’t mean to sound arrogant, but if you know what one-pieces usually look like on me you’d understand when I say that this one fits like a glove. When I looked in the mirror I couldn’t believe that something could be so outside my comfort zone, yet so comfortable! 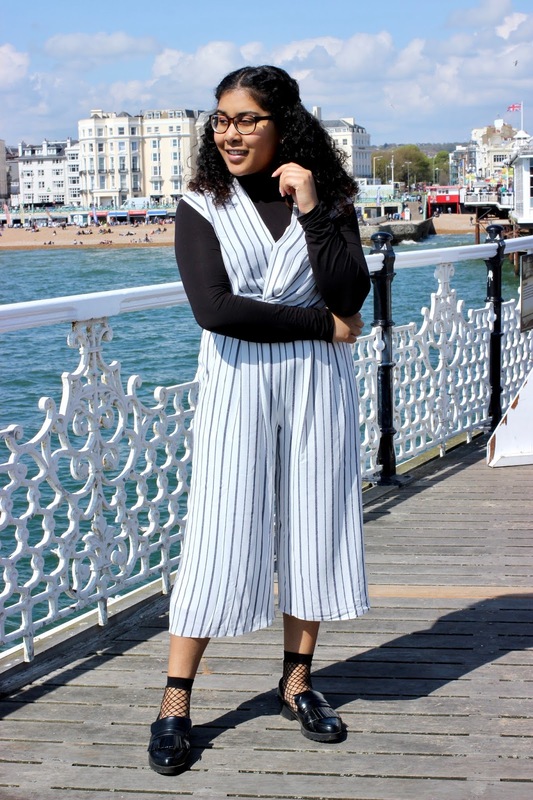 I will definitely wear this jumpsuit a lot! A similar thing happened to me in life. For some years now I knew that a 9-5 job was not what I wanted, but it was always a distant thought in the back of my mind. Having experienced now what it is actually like with my current internship, although I absolutely love the things that I am doing, I know that in 5 years time I will not be as happy as I should be in life. That is why I am taking a risk, I am stepping out of my comfort zone, or rather avoiding it completely as I have yet to land my first actual full-time job, and am jumping in at the deep end. Blogging is something that I have been doing on and off for nearly 7 years now, and it is what I want to continue doing. This is my (nearly) lifelong project, that I want to turn into my full-time job. Am I taking a risk? Yes. But now is the time. I am graduating uni this summer, and was planning a gap year anyhow. 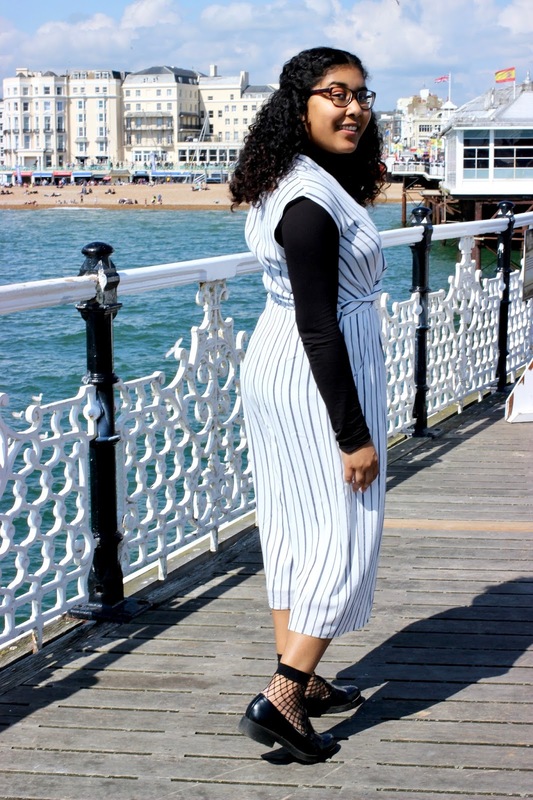 My plans were mainly to relax and take time for myself, but blogging is that for me. If I don’t take this risk now, I will keep avoiding it, especially when my comfort zone starts to grow, when I will have a steady income and bills to pay it might not seem worth the risk. And I will end up always wondering, what if? On that note, you will be seeing some changes on the blog in the coming year!